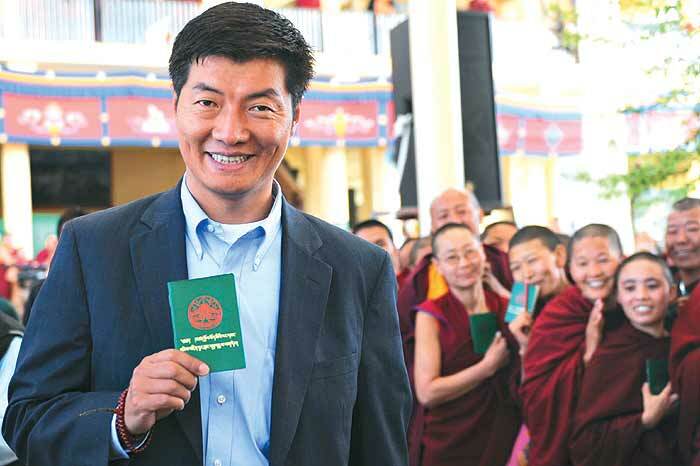 Lobsang Sangay, the newly elected Kalon Tripa (prime minister) of the Tibetan government-in-exile, describes India as his second home and proudly declares he grew up in its “unity in diversity" atmosphere. 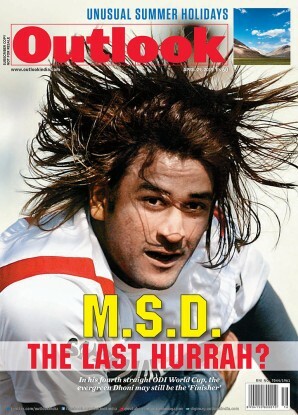 It was only natural then that he was rooting for the Indian cricket team in the recent World Cup. Born in Darjeeling, Sangay speaks Tibetan, Nepalese, Bengali and Hindi. His journey to Harvard University, where he studied law, began at a modest Tibetan refugee school in Darjeeling from where he went to Hansraj College in New Delhi and Delhi University’s Campus Law Centre. As he prepares to take over the political role of the Dalai Lama, who will now finction only as the spiritual head, Sangay's critics point to his lack of political and administrative experience, but in a phone interview with Ashish Kumar Sen, the new prime minister says he has the people’s mandate. You were born in Darjeeling and have spent much of your life in India and the U.S. Could you tell us about your life in India? I grew up in Darjeeling town surrounded by a lot of Nepali people. I grew up speaking many languages. At home I spoke Tibetan, with the Nepalese I spoke Nepali, and I also spoke Bengali and Hindi, which I learnt in Class 8. I grew up in India’s "unity in diversity" atmosphere. Indian ethos, history and culture are very much part of this. India is my second home. In the [World Cup] cricket match recently, obviously I was rooting for India to win! I studied at a Tibetan refugee school, which was subsidised by the Indian government. So I am very grateful to the Indian government and Indian people for hosting Tibetans for the last 50 years. Especially for me, getting education all the way to Delhi University -- I studied at Hansraj College and Delhi Campus Law Centre. I am very much a product of the Indian education system. You then came to the U.S. What was that experience like for you? From Delhi Campus Law Centre I came to the U.S. as a Fulbright Scholar. I did my masters at Harvard Law School and then did my doctorate in law. In recent years I have been a senior fellow at Harvard Law School. Obviously when you come from India you go through a culture shock! (Laughs) On my first day at Harvard Law School, they showed us a docudrama called “The Paper Chase” about Harvard Law School and when you watch the intensity of the students, and their homework and the competitive nature of things that gave me a double shock! (Laughs) Back in India you memorise things at the end of the semester and sit for final exams, and here they are studying, working late nights everyday. I wrote my dissertation on the Tibetan Government in Exile and democracy for which I received an award for excellence. So, I did fine. How did Tibet enter your consciousness? My father was a freedom fighter, on my mother’s side one uncle went to fight against the Chinese Red Army. Since he never returned, we all assume he was killed. I admire what my father and my maternal uncle did even though it was a losing battle. My father always talked about his experience as a guerrilla force member - the battles he fought, about friends who were wounded. It was his dream that he'd die in Tibet. He went back twice in the 1980s. But he wanted to return to Tibet in freedom. That didn’t happen because he passed away in 2004. All the siblings of my father have passed away. Those very painful memories were passed on to us. In school, every morning and evening we had 45 minutes of Tibetan prayer and reading of Tibetan history. So it all becomes a part of you. I was a debater in school. Whenever there was a public event I was made to read statements from Dharamsala! (Laughs). That’s why my Tibetan identity is very strong. Considering you don't have prior administrative or political experience, why did you decide to run for the post of prime minister? The way the process works is different - newspapers, websites, individuals nominate candidates. In most of the nominations my name came up. Since I had always talked about the importance of democracy, I thought, 'I have been given this choice, this platform, why don’t I participate to strengthen the democratic process?' I introduced Indian/American style campaigning. The traditional norm was: ‘Well, I won’t stand for this position, but if you vote for me then I will serve.’ But I went to people and shared my ideas. They voted for me knowing fully well that I didn’t have administrative experience. But they know that I have a law degree, I'm familiar with the ins and outs of Dharamsala, I've travelled internationally to advocate for Tibet, and I have dealt with Chinese students and scholars at Harvard University for the last 15 years, and I'm familiar with India and its people. I travelled extensively in India from Karnataka to Arunachal Pradesh and from Ladakh to Darjeeling. It seems people thought I had all the necessary qualifications needed to be the Kalon Tripa (prime minister). As the newly elected prime minister, you are taking on a political role previously played by the Dalai Lama, who has been an international symbol of the Tibetan movement. Will it be difficult to emerge from his shadow? His Holiness the Dalai Lama truly believes in democracy and has made efforts all along to separate religion from politics. This time he made the final separation so that the elected head of the government becomes the political face and representative of the Tibetan people. So what the Dalai Lama has assigned me to do is to fulfil his vision of a secular democratic society, to which I am committed. What will be your biggest challenge? The biggest challenge will be how to resolve the issue of Tibet so that Tibetan identity and dignity will be recognised and respected by the Chinese government. The official policy is to seek genuine autonomy within the framework of the Chinese constitution and persuade the Chinese government to move away from its hardline policy and implement a moderate, liberal policy for Tibet and Tibetan people, and to see the Dalai Lama as a genuine partner in peace who can strengthen harmony and stability that the Chinese government thinks is paramount in China. Do you think it is time to rethink the Dalai Lama's “middle way” approach -- or genuine autonomy for Tibet within the framework of the Chinese constitution - which hasn't yielded results? The “middle way” approach is the official policy of the Tibetan government-in- exile, so I have to implement it. Only the Tibetan parliament sets the policy, I implement it. If the parliament decides to re-evaluate the policy, I will have to act accordingly. Since you have never lived in Tibet, how will you strengthen the bond between Tibetans - those in exile and those still living in China - and their leadership? Tibetans inside and outside are divided not by choice, but by force. 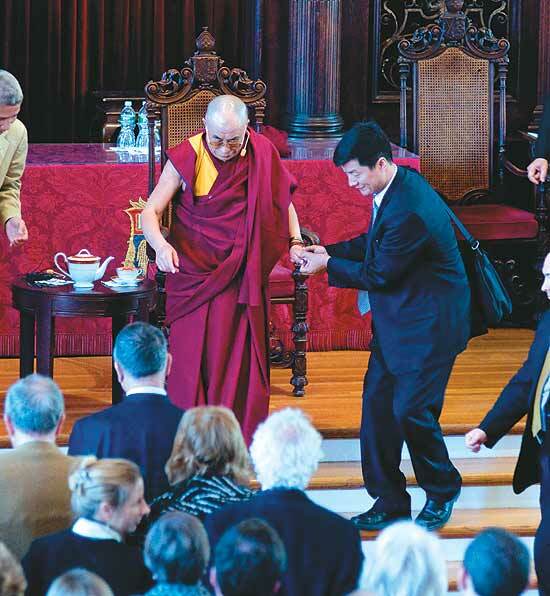 We are one family and we stand for one issue - to restore freedom in Tibet. Interactions between Tibetans inside Tibet and outside it are quite frequent. Thousands of Tibetans have fled to India and continue to do so even today. They communicate back and forth. For example, the DVDs of our Kalon Tripa debate were widely watched inside Tibet. I was recently told that two songs have been composed on my campaign theme on the day of my victory. Tibetans inside Tibet have also gone to monasteries to light butter lamps, offer incense and prayers for the success of the elections. We are in solidarity because we are Tibetans first and foremost and Tibet is in our hearts. Are you disappointed with India’s Tibet policy? India has done heavy lifting as far as Tibet is concerned. They have provided us humanitarian assistance and moral support for all these years for which Tibetans unanimously will always say, 'we are very, very grateful.' Having said that, we'd like to see the Indian government being stronger on the Tibet issue and to treat it as an important national issue, addressing which will also address security issues for India. For example, the expenses incurred in the defence of border is really high. Before 1959, there was a border between India and Tibet, and there was no requirement for such kind of huge defence budget. Now, India has to do so because of China’s occupation of Tibet. We appeal to the Indian people that resolving the Tibet issue is also in India's national interest. What's the message in the Chinese government's denunciation of your election as a a “political show”? They go overboard, call it illegal and things like that. If you talk of legality, Tibet is under an illegal occupation. As for my election, I have received democratic legitimacy of the Tibetan people. In contrast, Tibet doesn't have democracy, doesn't have freedom, so there is no legitimacy there. The party secretary of the Tibet Autonomous Region has always been Chinese, never a Tibetan. Their labels are only to distract from the reality of great achievement made by the central Tibet administration which is democratic, whereas Chinese rule in Tibet isn't. Have you received congratulatory messages from the executive head of any country, particularly India, the US, and Europe? Not yet. But I have received some congratulatory remarks from some parties and organizations. No country officially recognizes the Tibetan government-in-exile in part for fear of annoying China. What can you do to change that? If you look at any freedom struggle, there are phases. I am sure Mahatma Gandhi, when he was leading the Indian freedom movement; Nelson Mandela, when he spent 27 years inside prison; and Martin Luther King Jr., when he was leading marches in Alabama and Selma and Montgomery, I am sure there were lots of times when it was quite frustrating. But that is part of the struggle. Ours is also a struggle. Recognition and semi-recognition is part of the process and we have to continue to keep marching forward with the hope that one day Tibetans will be recognised as distinct people entitled to their own rights and freedom. The Tibetan youth, who are quite angry with the older leadership, want to see their struggle taken to a logical end. What for you is that logical end? The official policy is to seek genuine autonomy within the framework of the Chinese constitution. So, the logical end for me is that if China is a country with rule of law, which they say they are, then they should implement the laws which provide genuine autonomy for the Tibetan people. Having said that, I do acknowledge that under international law, the status of Tibet could be argued as an independent nation and the UN General Assembly resolution of 1961 has stated so. Do you think the institution of Dalai Lama has run its course? The institution of Dalai Lama will continue as our spiritual leader. He's very healthy. We do believe he will live very long and will be able to return to Tibet during his lifetime. As for the 15th Dalai Lama, His Holiness has shared some ideas of reincarnation, one of which was that one (he) could support his own successor during his lifetime. I support that idea. Having said that, I will support any process the Dalai Lama advises us, because he is the ultimate authority on who the 15th Dalai Lama should be and where he or she will be born. He has categorically stated that the idea of reincarnation is to fulfil the mission of the present Dalai Lama, which means if he passes away in exile, it's logical to be (re-)born in exile to continue the mission from where he left. You are travelling to Dharamsala later in May. What's going to be your No. 1 priority once you get there? No. 1 priority is to restore freedom in Tibet, but domestically the No. 1 priority is to improve the education system for the Tibetan people to provide them good education. I am what I am today mainly because of education. I want to inspire younger generations to focus on education and encourage parents to be partners in improving education. As the head of the Tibetan government I will provide facilities and funding necessary to create hundreds of Tibetan professionals so that they can be effective leaders in the Tibetan movement.